Panasonic Inverter Technology perfects the art of cooking with microwave ovens, delivering delicious flavor, excellent color, superb shape and texture in the foods you cook. 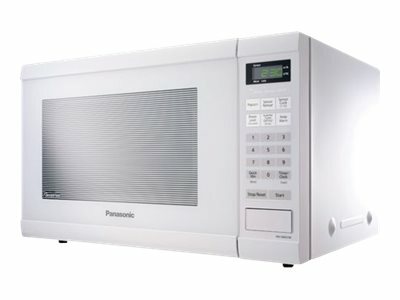 The consistent delivery of microwave energy means delicate foods can simmer without the edges and surfaces overcooking. Foods have the look and taste you expect - without the wait! With the touch of the Sensor Cooking button, this microwave takes guesswork out of creating a great meal by automatically setting power levels and adjusting cooking or defrosting time. The sensor measures the amount of steam produced during cooking and signals the microprocessor to calculate the remaining cooking time at the appropriate power level.